SERIES DWP Dual Access Work Platforms have a higher load capacity and larger platform for two people with tools, plus stairs at each end of the platform. Rests on 4 2-1/2″ rubber pads. Cotterman® SafeLock is provided on both ends for mobility. 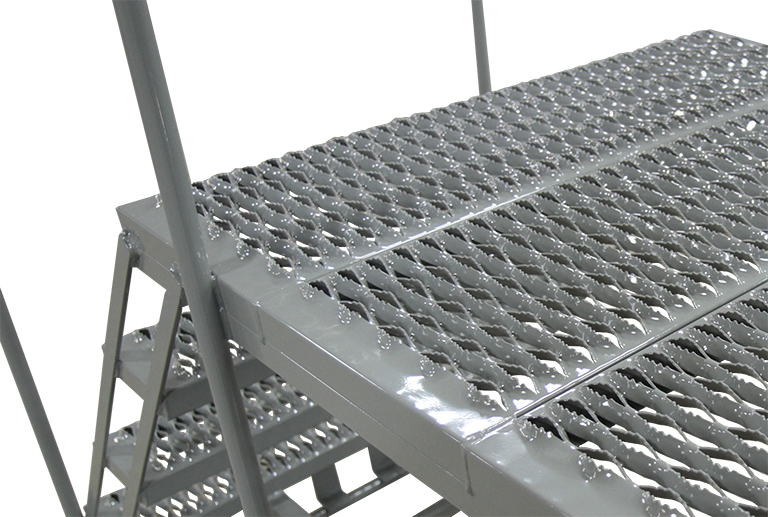 Steps and platforms are constructed of heavy duty serrated tread. 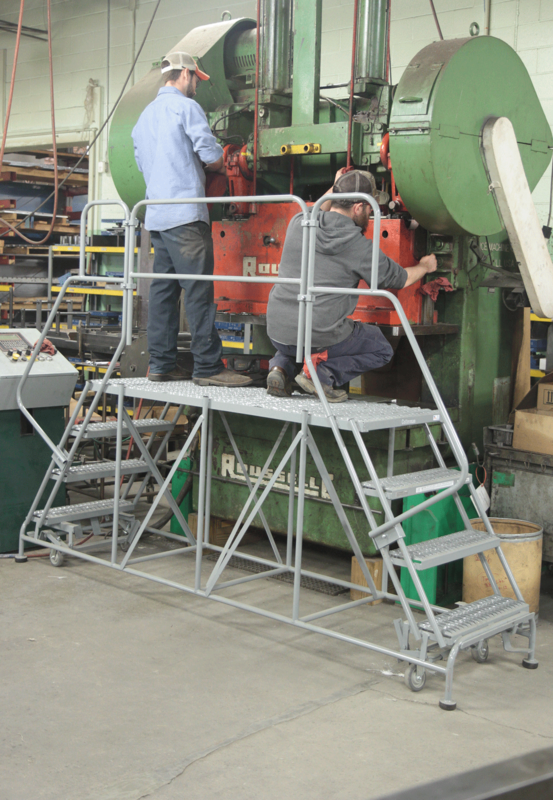 36″ high handrails with midrail ship knocked-down for field assembly. 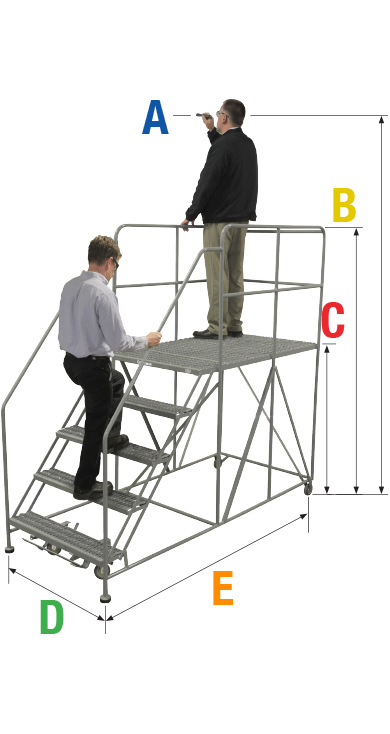 Dual Access Work Platforms meet applicable OSHA and ANSI standards. Cotterman® Heavy Duty Serrated tread is an aggressive non-slip surface and open step design that prevents debris buildup. 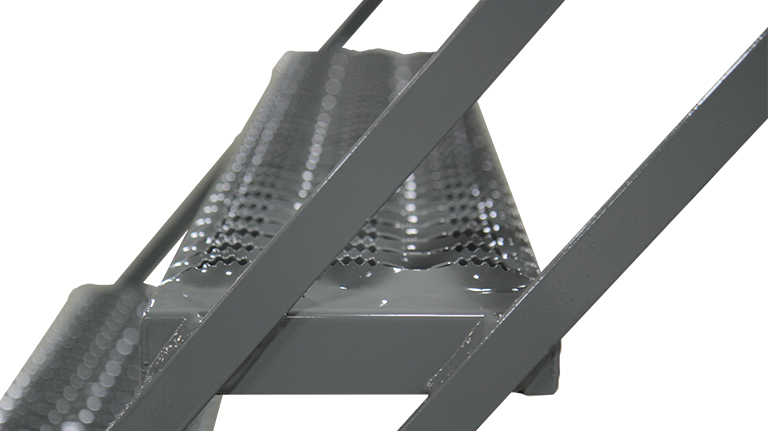 Cotterman® offers various tread widths to accommodate almost any situation. So, it is up to you, the user, to determine how and where the ladder will be most commonly used. 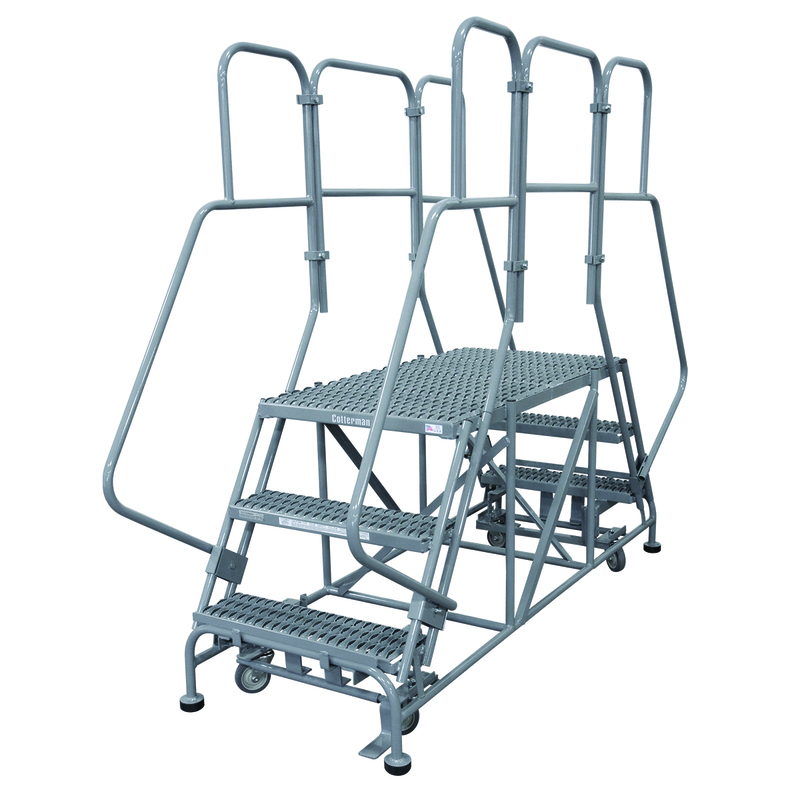 Work Platform steps vary in width from 24″ to 36″ to allow for space, storage and usage constraints or requirements. All Dual Access Work Platforms come standard with Dual SafeLock™ foot-activated locking mechanisms with swivel casters. 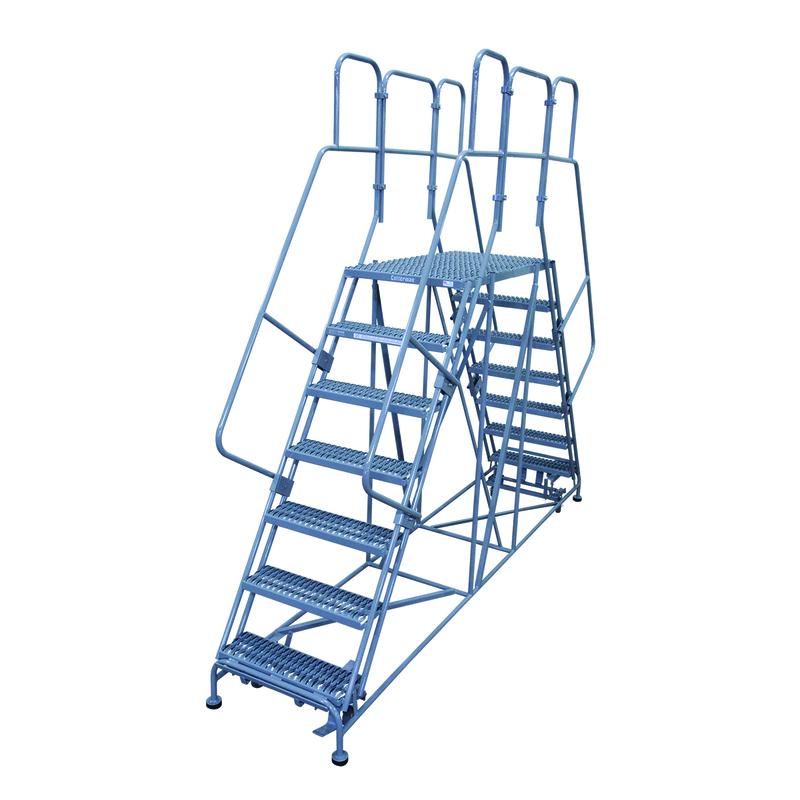 *Work Platforms also available for situations where access from both ends is not required.